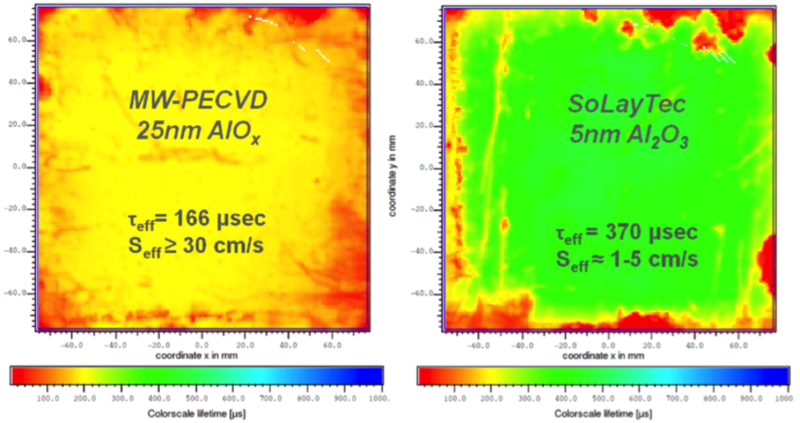 For ALD Al2O3 one leading PV solar cell manufacturer has measured a surface recombination velocity of between 1- 5cm/sec and on similar material for PECVD AlOx the Seff is ≥ 30cm/sec. In terms of lifetime, the above 2D lifetime maps are shown and clearly indicate that ALD passivation is a factor >2 better compared to MW-PECVD. The c-Si wafer quality will be improved further and this results in better bulk material of the c-Si material. When the bulk lifetime is improved, the surface passivation will be even more important and thus our customers request an excellent surface passivation of the Al2O3 for their future cell concepts. For the PERC cell concept it is generally well-known that spatial ALD is a very effective deposition method and already in mass production at multiple cell manufacturers. In cooperation with the imec institute, it has been proven for n-type IBC and n-PERT structures that ALD is the right choice too. 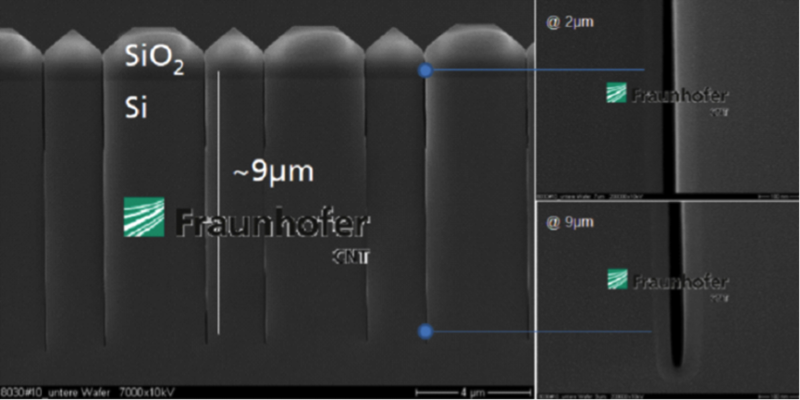 In several abstracts imec revealed that the Al2O3 layer is a better option compared to thermal SiOx passivation. This can be to passivate either the n+ or the p+ emitter. It is therefore expected to be highly effective in passivating the p+ emitter in the new TOPCON cell structure. We can conclude that the spatial ALD is a must-have in every high-efficiency cell manufacturing lab or fab.